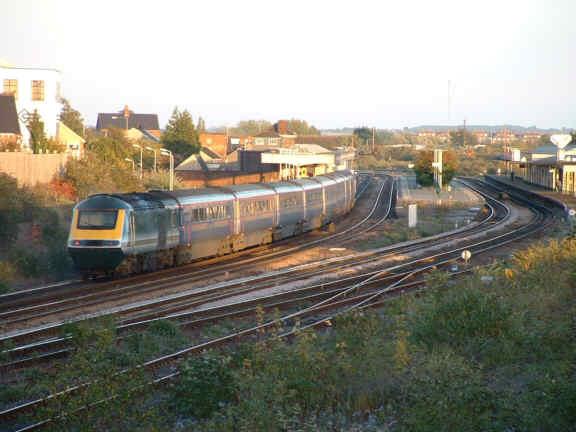 The mainstay of Inter City services in Somerset before the Virgin voyagers were the Inter City 125s, this view of Taunton shows a Virgin Cross Country example on a service to the north and a First Great Western one which was reversing before going up to London. 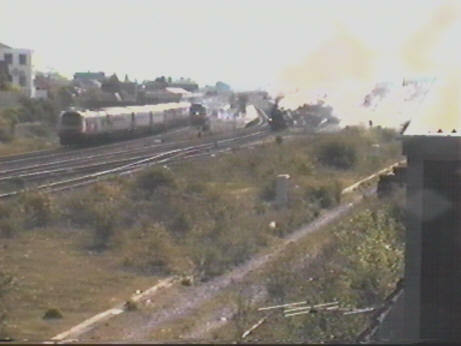 Seen passing through Taunton light engine was 58030, just before the arrival of a Steam Special, hence the crowds on the platforms. 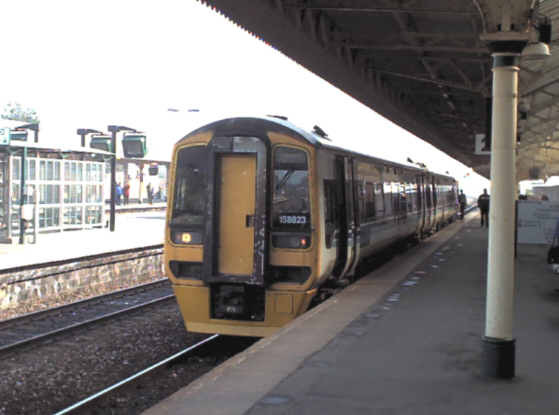 Other services in the area are worked by Class 158 dmus, such as this one heading out of Taunton towards Exeter on a Penzance working. 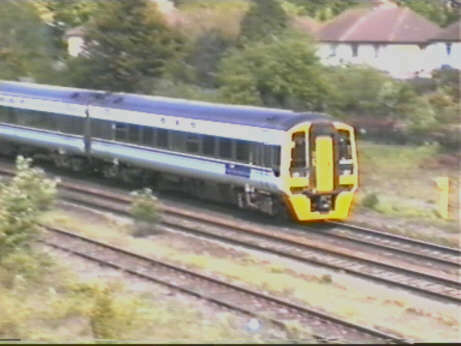 Another Class 158 seen from 40 Steps Bridge arriving at Taunton on an up working. 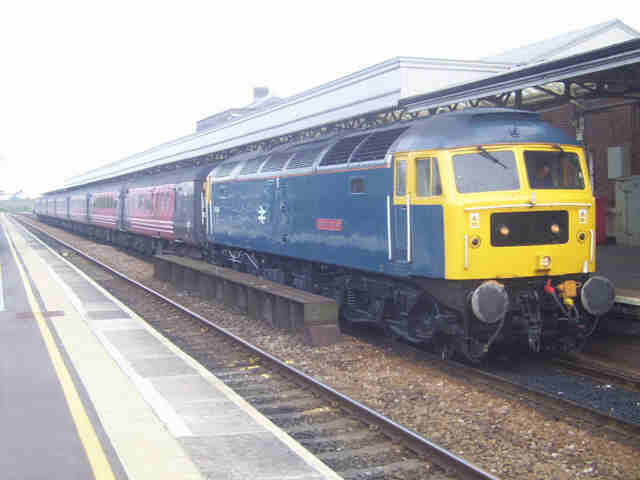 Three generations of Inter City motive power at Taunton, a pair of Castles leave on a special as a preserved Class 50 diesel stands waiting to follow down to Penzance and an up Virgin Inter City 125 arrives in the station. 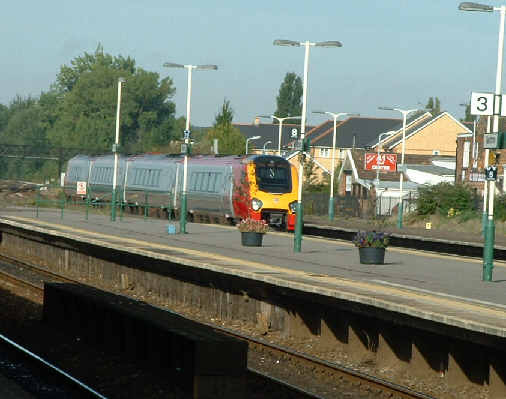 Virgin's loco hauleds and HST's have now been replaced by Voyagers. 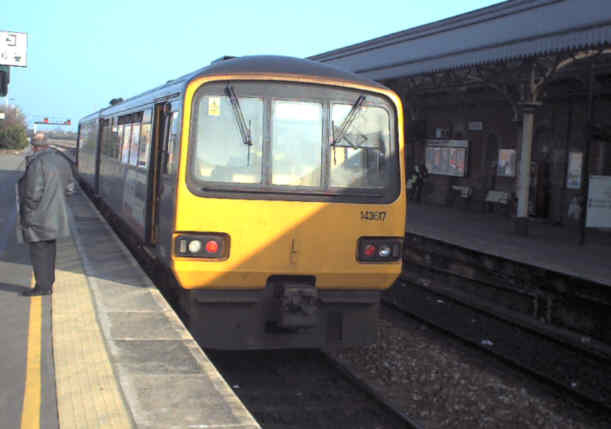 Tiny little trains, meant to run frequently but the service falls apart all to easily leading to one very late and very crowded unit leading a procession of near empty less late ones. 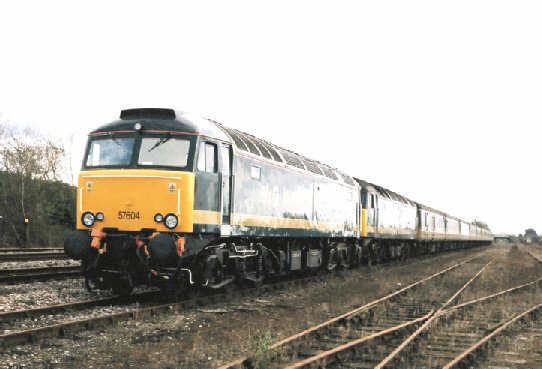 Seen on an October 2002 evening Wales and Borders 158745 stands at Platform 4 in Taunton. 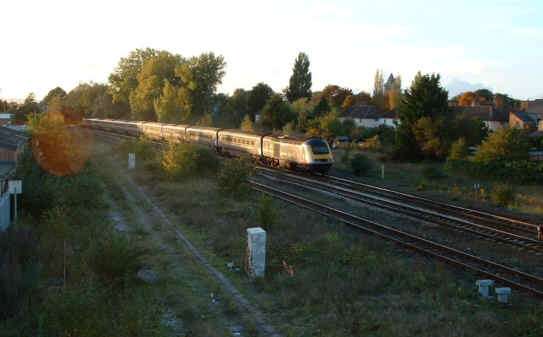 Earlier the same evening an up First Great Western 125 seen passing 40 Steps Bridge, just west of Taunton station. 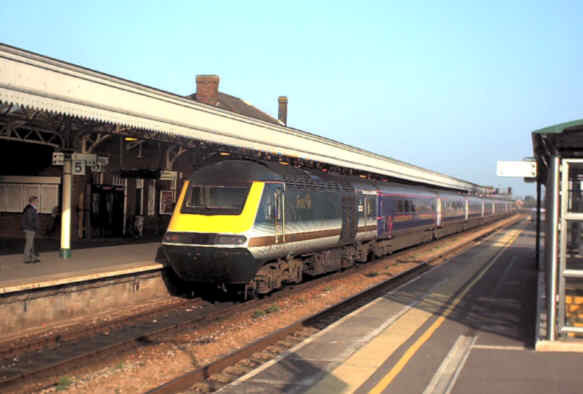 FGW are refurbishing their HST's, which are far better trains for long journeys than Virgin's Voyagers. 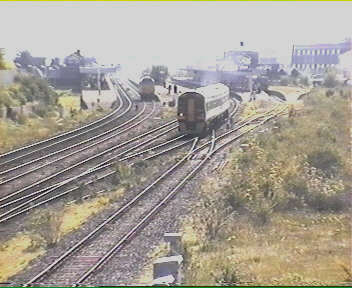 Another view of it looking towards the station. 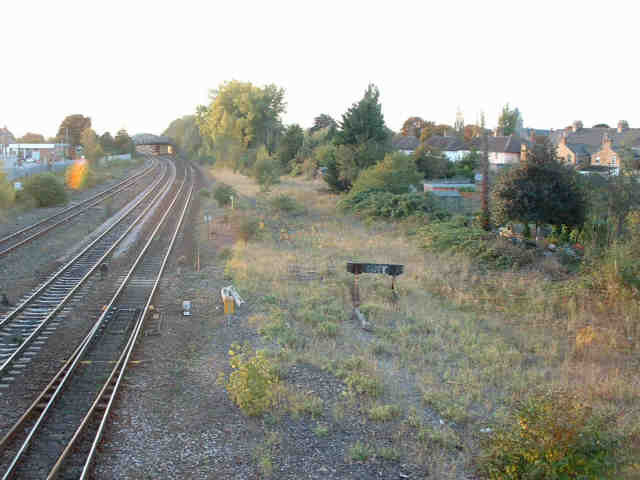 There's a lot of disused railway land around here where the loco sheds were (right) and carriage sidings (left) used to be. 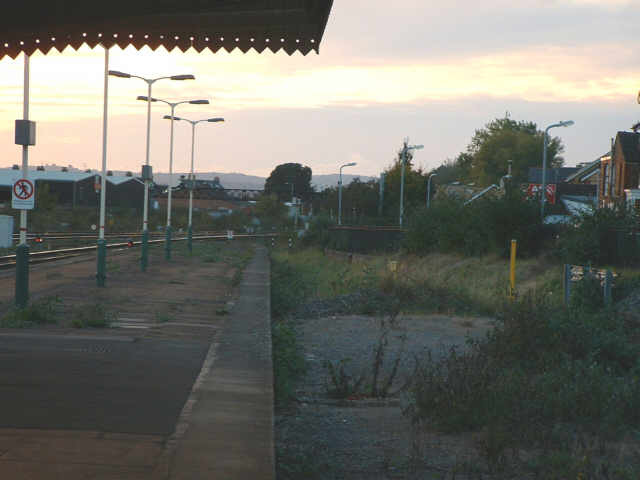 The former Minehead arrival bay at the western end of Taunton's upside, maybe one day the West Somerset Railway might once again reach here with steam trains from Minehead. 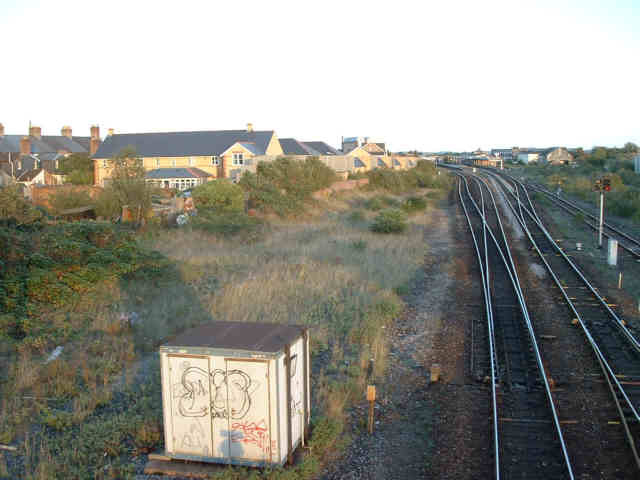 Two views from 40 Steps Bridge showing the area beyond the bay in the above photo which might offer more space for a new station and associated siding space etc. 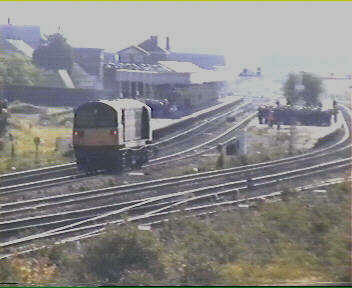 Wales and Borders unit 158823 stands at platform 2 with a S. Wales - Penzance working in March 2003. 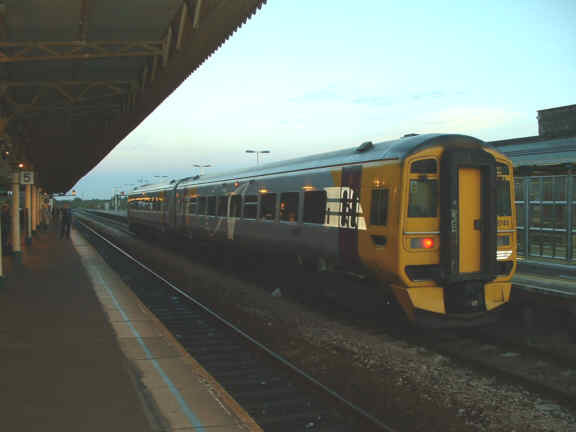 Might be a "boring unit" but the ride on the short run from Bridgwater was very comfortable. 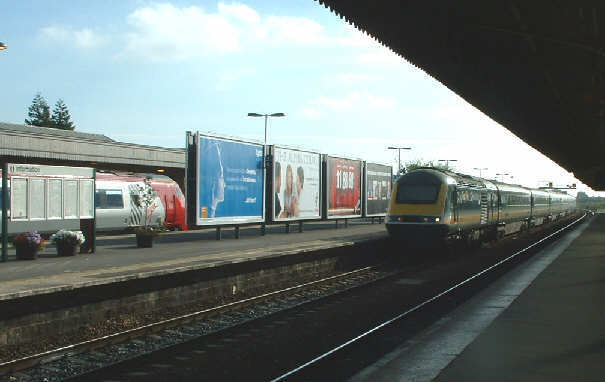 A First Great Western Inter City 125 leaving Platform 5 en route to London Paddington. 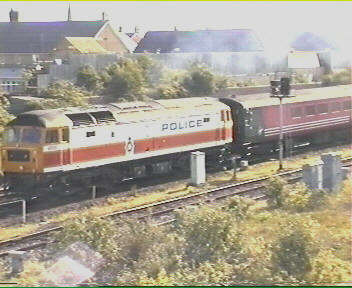 Both power cars were in the old livery, the carriages in the new "Barbie" colours. 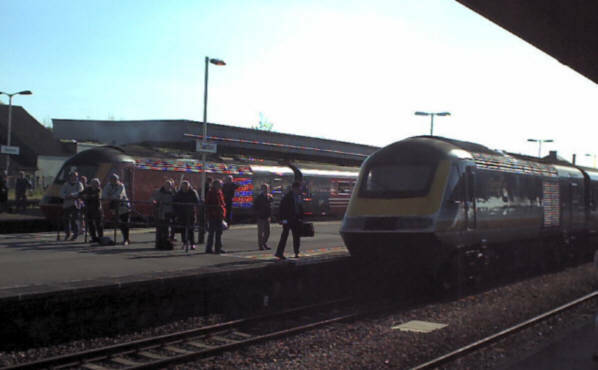 While the Voyager was still in Platform 5 a down First Great Western HST arrived at Platform 3. 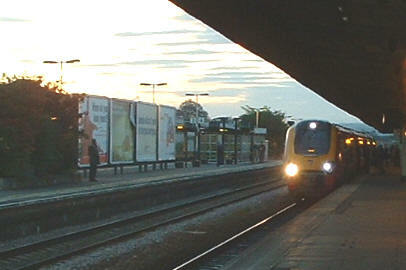 A Wessex Trains Class 158 unit with a Bristol bound service in January 2006, only a few months to go for this franchise before First take it over and merge it into their Great Western one. 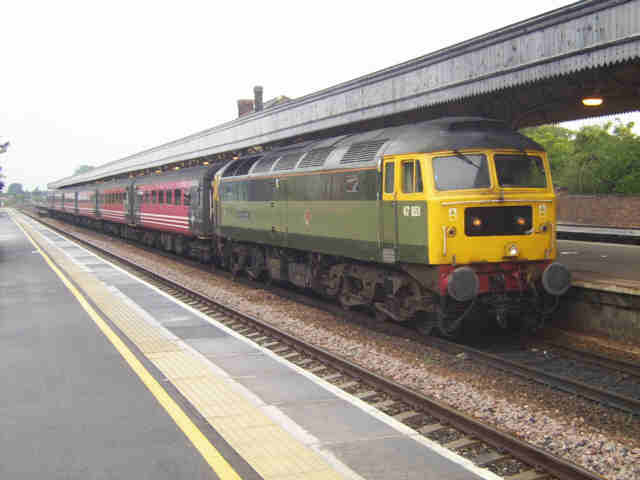 There are also some photos near Taunton on Norton Fitzwarren where the West Somerset Railway links to the mainline - and they are going to carry out an exciting development of their facilities. Photos not otherwise credited are ©2001 - 2004 S G J Huddy. Other photos are included with permission of the copyright holders.